With Wayne Rooney going down in today’s match the question of what to do with Robin van Persie isn’t quite as pertinent, but it will certainly come again in a month’s time when Rooney is fit again. I started writing this before today’s match when Rooney went down injured, but I’m going to finish it due to the fact that he will be back and will have a role to fill. Many pundits have already pointed out that what United needed was not a 4th striker, but rather a defensive midfielder. I will agree with that. They really need somebody in there to boss the midfield and break up opposing teams play. With that said, let’s move on to what United has and not what others think they need. I’m sure Sir Alex has a plan and just consider the fact that they have not had a true defensive midfielder since Roy Keane left in 2005 and yet, they have won 4 league titles, the European Cup, and finished in the top 4 each of those seasons. While van Persie may have been more of an impulse buy out of frustration, it is Sir Alex we are talking about, and he will find a way. Take a look at Saturday’s match versus Fulham. I feel he started van Persie more to give him a full match and allow Rooney a rest early on rather than as a sign of what he will continue to use throughout the season. Once Rooney came on the two of them continued to make overlapping runs and switch in and out of positions with one another. A possible setup could be to use van Persie up front as a striker/goal poacher while Rooney sits back just behind him and Kagawa as the playmaker behind Rooney. Add Nani and Valencia on the wings and this shapes up as a very threatening attack force. With this setup Rooney and van Persie could easily swap positions throughout the match and making overlapping runs since both seem very capable in the role of either a 9 or a 10. My feeling is that with the 4 strikers there can be any number of scenarios used by Sir Alex throughout the season to chop and change and he will be using them all throughout the year in each of the 4 competitions that Manchester United will be competing in. Considering RvP’s past history of injuries don’t expect him to be over used. Where Robin van Persie fits into this plan, he will most certainly be used and used often. Whether in tandem with Rooney, alone, or partnered with another striker, he will be a potent scoring weapon and I’m very glad to see him wearing the Red, White and Black of United! 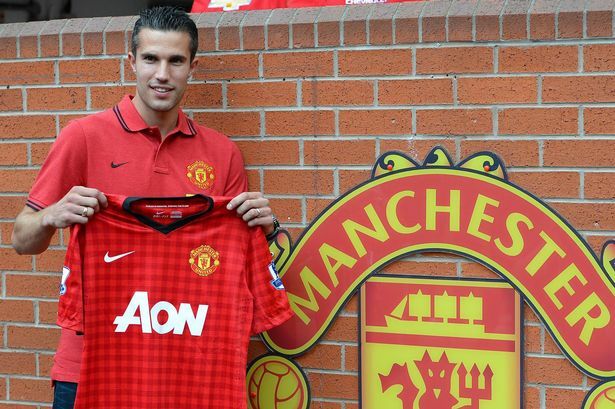 Home » Predictions » What To Do With van Persie?